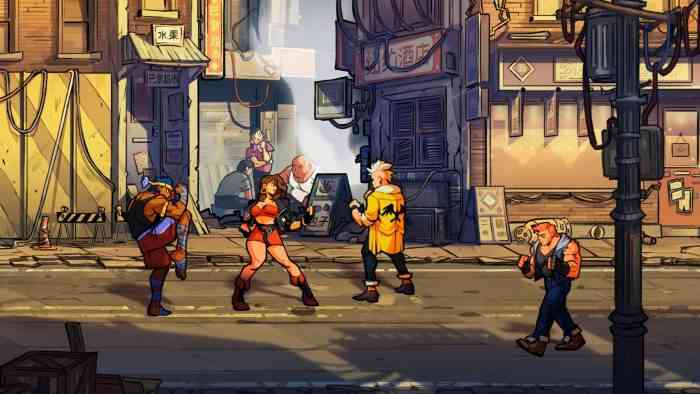 Streets of Rage 4 was officially announced on Monday with a snazzy reveal trailer that featured some old-school beat ’em up action! You can view the trailer below. Notably, the sidescroller is being developed by three different studios: Lizardcube, Guard Crush Games, and Dotemu (who is also its publisher), according to the game’s official website. Unfortunately, a release date hasn’t been given and the platforms it’ll be available on haven’t been announced yet. Also, a price hasn’t been listed on the official website either. What do you think about this reveal? Are you interested in playing an old-school sidescrolling beat ’em up or does this game seem too old-fashioned for you? Let us know your thoughts in the comments section below!